Play the best! 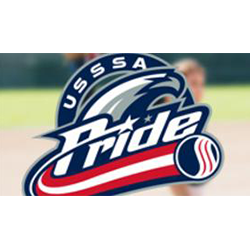 Play USSSA! USSSA All American Tryouts will take place June 8th in Macomb Township, MI. Athletes will be put through a series of testing stations to evaluate their fastpitch softball skills. These various stations will be ran by college coaches and professional softball athletes. Athletes will be stacked up against others in their age division throughout the United States for selections to an All American Team that will compete in the 2019 All American Games. Please follow the link below to see all posted important information on the All American registration page. Division winners receive paid World Series entry. Triple Points Weekend for ALL TEAMS! Michigan USSSA Fastpitch is providing this amazing special PAID BERTH offer to teams that enter and win their division in the Cereal City Classic NIT tournament on June 1-2, 2019 in Battle Creek, MI. This is a $595 value. All teams will compete at Bailey Park during the event and look to enhance their rankings during this triple points event. In addition to this, ALL teams will be entered in a drawing where 1 team in each division will win a FREE Bownet BIG Mouth hitting net, a $175 value. 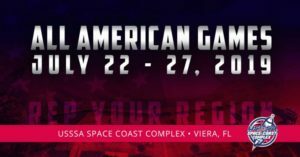 What Is a USSSA NIT Tournament? N.I.T. stands for National Invitational Tournament. While all teams can register and participate the premise is these events will provide teams with a solid level of competition and higher point earnings for rankings. This event will provide triple points for all teams, which means you increase your teams national power rankings to enjoy higher national rankings and better seeds during National Events. For more details on the Points/Power Ranking System click here. Player awards for the top two teams in each age division will be our awesome N.I.T. rings. These are the hottest awards on the circuit and your players will LOVE them! Register your team today for one of these N.I.T. events in Michigan and secure your spot. We're excited to bring our teams these amazing opportunities and look forward to seeing your team their. To see the list and register for one of these events click here. The best teams in the Midwest will showcase their athletes in highly competitive games at this event. We will invite over 120 College Coaches. CaptainU will provide scouting services as well. Bailey Park in Battle Creek Michigan will host this 5th annual event. We look forward to assisting these athletes and helping make their college dreams a reality! 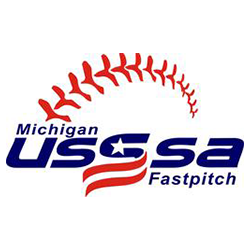 Welcome to the home of Michigan USSSA Fastpitch! This website will serve as a portal to all of the information regarding the youth girls' fastpitch program in Michigan. You will be able to find a wide range of information here on this website. Please search the menu above for information regarding USSSA tournaments, leagues, and other programs in Michigan. You will be using the USSSA National Site as well throughout the season. We look forward to working with you! CaptainU improves the recruiting experience by creating an online and mobile network for players and college coaches to connect and have a great recruiting experience during this event. recruiting process and maximize their exposure to college coaches at the upcoming tournament.